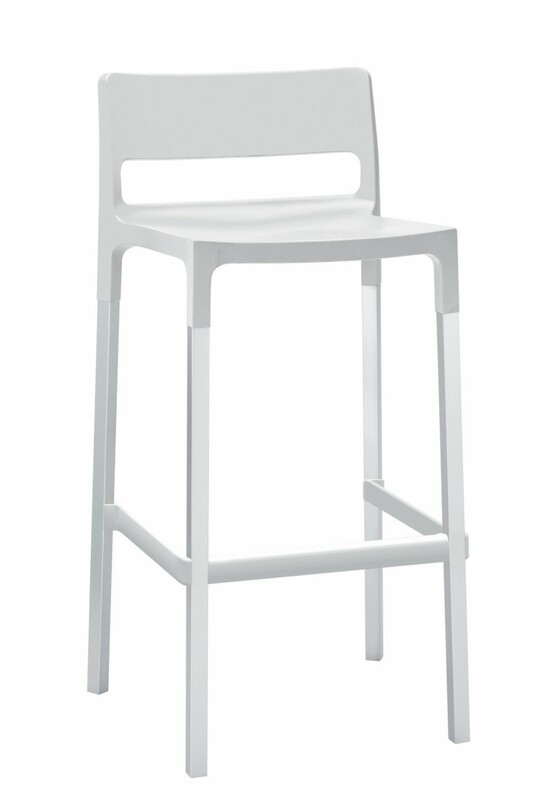 Polypropylene stool with Aluminium frame. Available in colours Linen, Orange, Red, Light Green, Blue and Anthracite. Stackable and suitable for outdoor use.